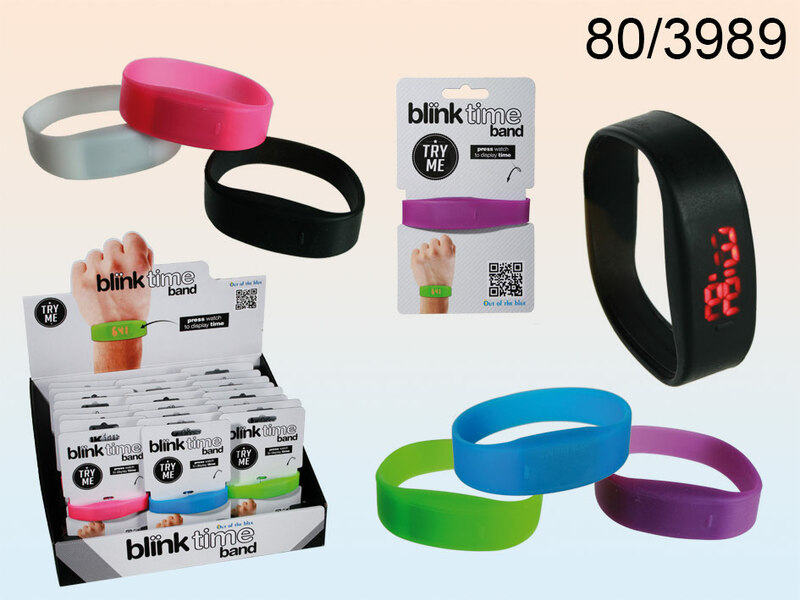 Silicone bracelet with digital clock. In order to display time one has to press the watch. Assortment of 6 colours. Modern item for runners.